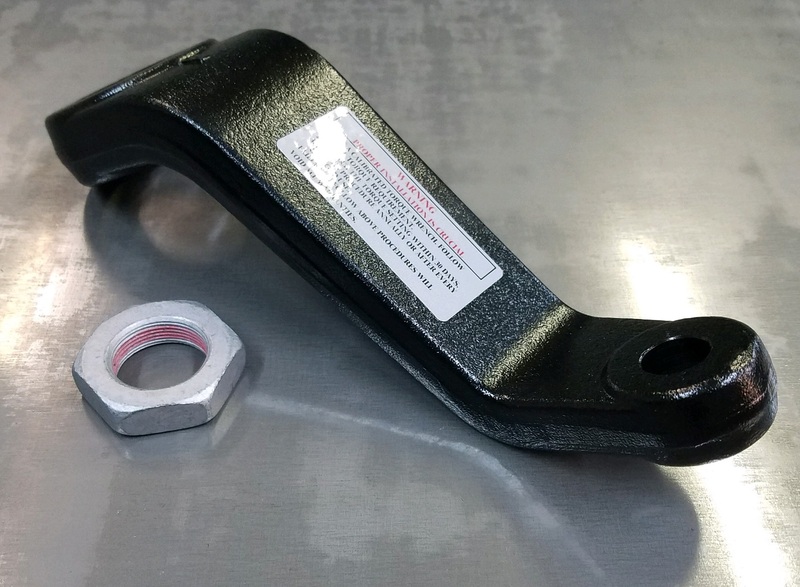 Heavy duty drop pitman arm with new genuine FORD OEM sector shaft nut. Please select year of vehicle for proper fitment. These must be accompanied by a matching drop trackbar bracket for proper function. Designed for 5.5" of lift or more with the proper supporting components.